for the fourth of july ryan and i were in the mood for something a bit different for dessert. 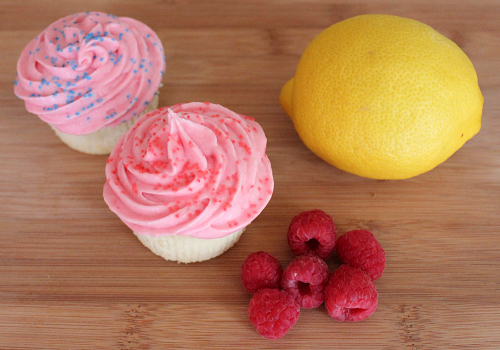 so, we decided to make lemon cupcakes with fresh raspberry frosting. 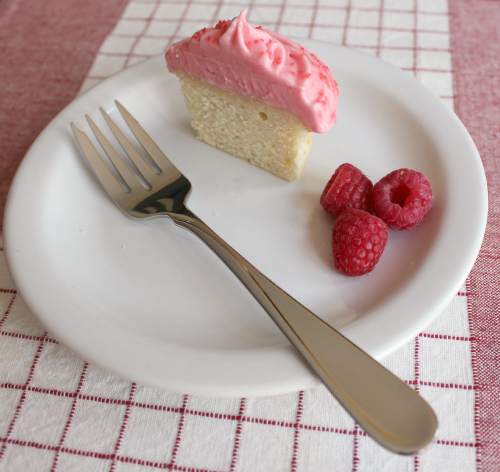 i am absolutely obsessed with fresh raspberries (as seen here) so in my mind, there's nothing better than pureeing them and whipping them into buttercream frosting. 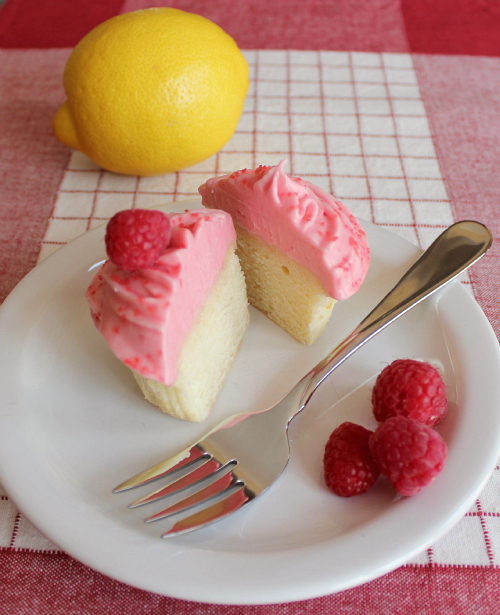 the combination of the raspberry buttercream and the tart lemon cake was absolutely divine. the perfect dessert for summer, for sure! preheat your oven to 375 degrees F. line two muffin tins with 24 paper liners. in the bowl of an electric mixer, beat the butter, sugar, and lemon zest together until light and fluffy. beat in the eggs, one at a time. beat well after each addition. beat in the vanilla. in a separate bowl, combine the flour and baking powder. add the flour mixture to the butter mixture in small increments, alternating with small amounts of the milk and the lemon juice. beat until combined, but do not over beat. pour the batter into the lined muffin tins. bake for 20 minutes, or until a knife inserted in the center of the cupcakes comes out clean. allow the cupcakes to cool completely before frosting. while the cupcakes are cooling, puree the raspberries in a bowl of a food processor until smooth. strain the pureed raspberries through a sieve to remove the seeds from the puree. in the bowl of an electric mixer, beat the butter and 1 cup cup of the sugar until smooth. add the raspberry puree, and gradually add the rest of the sugar in small increments until the frosting is fluffy. They were just as delicious as they look. You should be a food photographer.